Description A versatile peplum lace top. Perfectly fit for work or relaxing girlie.. Description Featuring jacquard details, round scoop neckline and a feminine&n.. Description Make heads turn in this sequin lined peplum top at the waist area this.. Description Start your Xmas mood with this shimmering sequin embroidered collar to.. Description Start your Xmas mood with this shimmering sequin embroidered coll.. Description A blouse you can just slip into without feeling too dull. Breezy and f.. 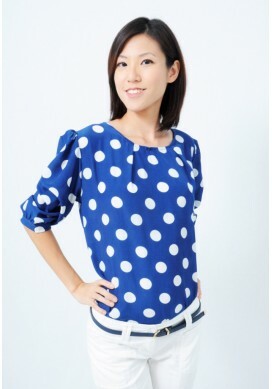 Description Cute flowers neckline top. Made of cotton Measurements (in inc.. Description If you like Arielle gold button cardigan, don't miss this to.. Description Transform to an elegant and urbane look. Wear with a pencil .. Description Leave your accessories at home, this top is good on its own! Made .. Description SImple sweetness. Cotton top with lace details. Note: Does not com.. Description Simple sweetness. Comes with the ribbon bow with pearl brooch. .. Description A top that makes you feel like school days are back again! Measure.. Description Match this popular butterfly collar top with our Brietta ribbon shorts.. Description Smell the sweetness from the combination of flowers, pearl and chiffon.. Description A bright and youthful assemble. Get this look, pair with our Tull.. Description Great for the weekends. Look light and modest as it is. You can mix an..